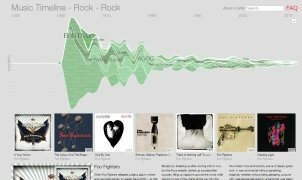 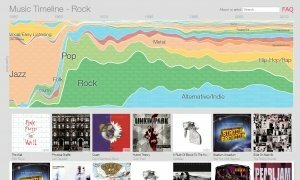 Taking a look at the evolution of music since the fifties to nowadays and measuring the popularity of each genre over time is now possible thanks to Music Timeline, the tool designed by Google that offers us this information very visually as a timeline. 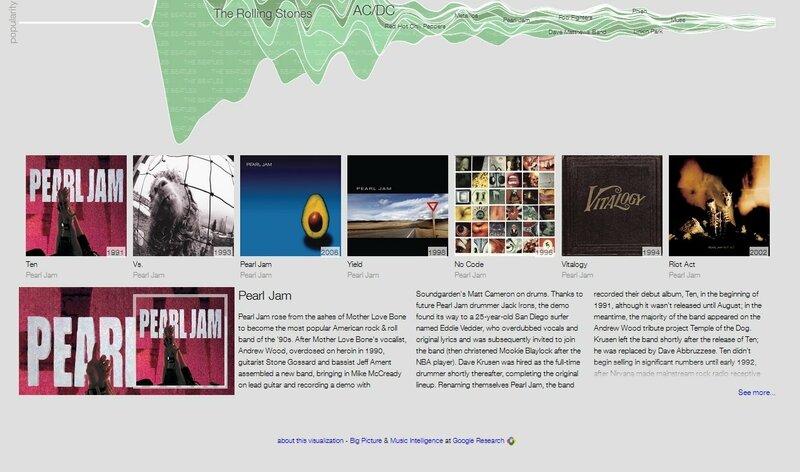 We'll see the different genres grouped on a graphic, and we'll be able to click on each one of them to view their subgenres and the different currents that they have led to. 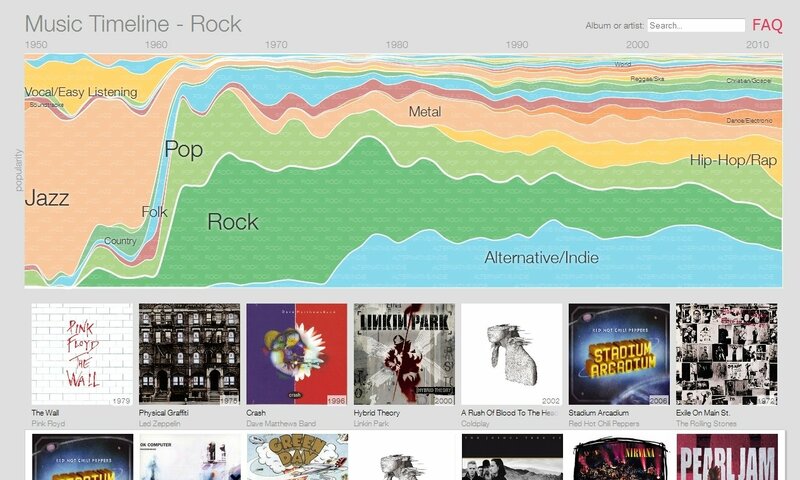 The most attractive way to take a look back at music's history over the last years. At the bottom we can see the covers of the most representative albums of each style with information obtained from Google Music's databases. Therefore, we can also listen to samples of these albums and obviously purchase songs or full albums. 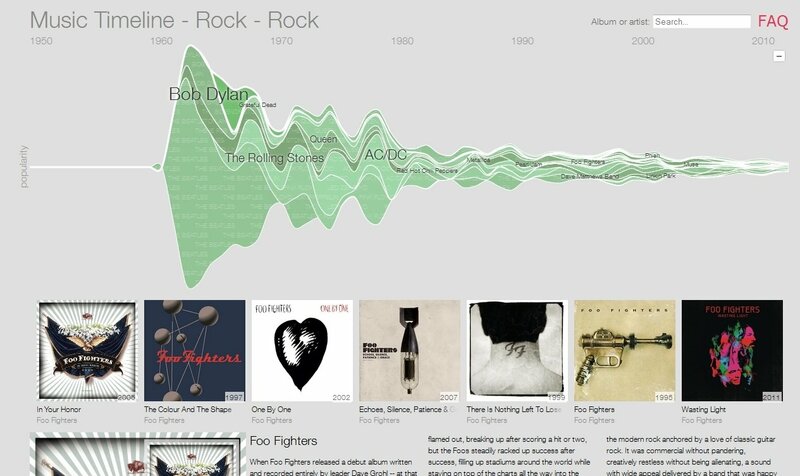 But Music Timeline also offers us the chance to delve into the career of a band in particular, taking at look at their most popular moments or how their legacy has endured over the years. Furthermore, we can also type in a word in the search engine and compare on the graphic the artists and songs that use the term in question in their name. 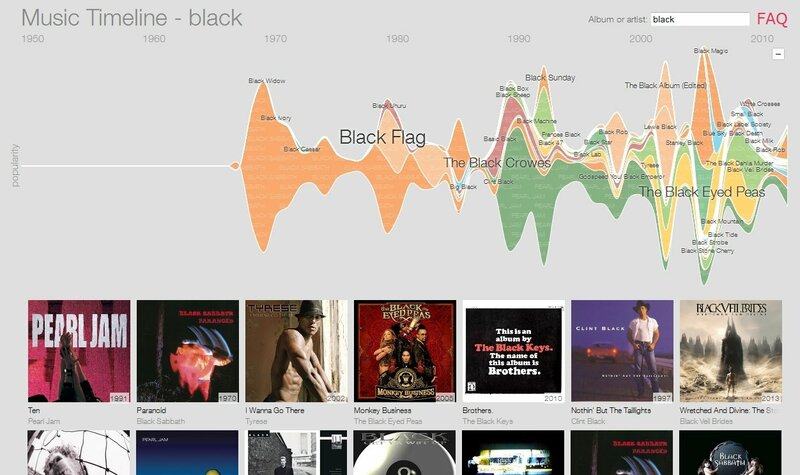 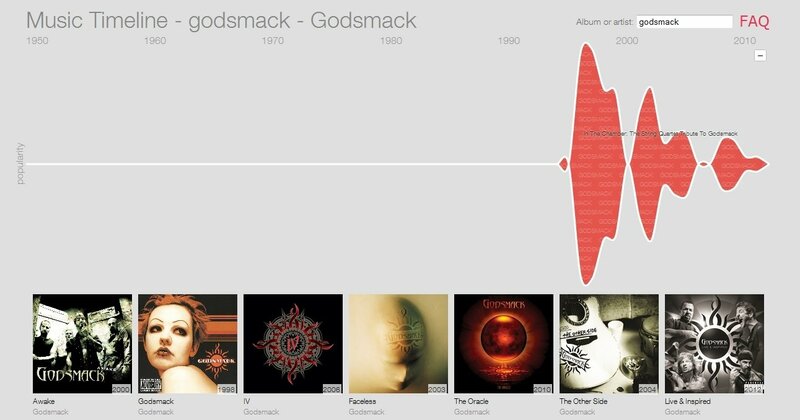 Music Timeline is a very appealing way to take a look at the evolution of music over the last decades.